Tonight’s show took place in Bucharest and was hosted by Aurelian Temișan, Ilinca Avram and Alina Ionescu. 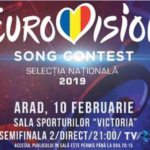 A total of 12 contestants took the stage and battled for the right to represent Romania in Eurovision 2019. The winner was determined by public and jury voting. The public voting counted as if it was one jury member’s votes. Members of the jury were Emmelie de Forest, Tali Eshkoli, William Lee Adams, Deban Aderemi ,Serban Cazan , Alex Calancea. Guest stars of the show were Eurovision 2018 winner Netta, Eurovision 2013 winner Emmelie de Forest and Inis Neziri who had participated in the Albanian national final in 2018 and came 3rd with the entry Piedestal. Romania officially debuted at the the Eurovision Song Contest in 1994 with Dan Bitman and has participatted a total of 22 times since then. Its best reuslts were scored in 2005 with Luminita Anghel and in 2010 with the duo Paula Seling & Ovi achieving in both cases the honorable 3rd place in the Grand Final. 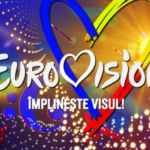 In 2016 the country received a penalty by the EBU due to its broadcaster’s overdue debt and was forced to withdraw from the contest, although it had chosen its Eurovision entry and act for Stockholm. 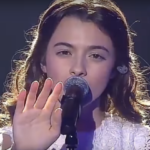 In 2018 Romanian band The Humans won the Selecţia Naţională and performed Goodbye on the stage of Altice Arena in Lisbon. For the first time in its history the country didn’t make it to the final, breaking a record of qualifying to each grand final since the semi finals were introduced.